We have significantly improved voltage and electromagnetic pulse glitching with the new high precision EM-FI probe tips and the updated Glitch Amplifier II. 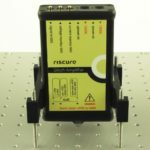 Riscure today announces the commercial availability of two essential updates for Riscure Inspector. Two new tools were developed to enhance the capabilities of security labs using Riscure equipment and improve the quality of voltage and electromagnetic fault injection. The Glitch Amplifier II is the updated add-on to the VC Glitcher and Spider used to amplify the power glitches for an embedded device. It provides an increased success rate due to sharper glitches. Glitch Amplifier II has an integrated current monitor which allows easy monitoring of glitches and its effect. Additionally, it is much easier to position above a target due to an updated physical shape and compatibility with the EM Probe Station. More information can be found on the product page and in the datasheet (PDF). New high precision EM-FI probe tips provide a local precision glitch using powerful electric magnetic pulses. They feature small coils that result in a local glitch that because of the special production technique that we use, with multiple windings, still deliver enough power to be successful with fault injection attempts. They also increase the fault injection success rate and simplify the process of identifying the vulnerable area of a chip due to the reduced impact of an injected fault. 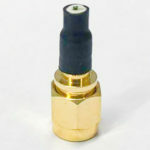 The package contains three high precision tips: 0.3mm, 0.5mm and 0.7mm coil that can be mounted onto the EM-FI Transient Probe. More details can be found on the product page. Both products are now available to order. For more details, feel free to get in touch with us via inforequest@riscure.com.